Dave Churchman served the country as an infantry officer and was a recent candidate for the Republican nomination to the US Congress. He is an educator, a environmentalist, and a Republican. and will be off-line until June, 2000. 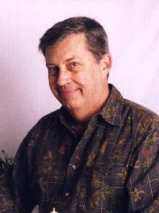 Dave has been a professor at California State University since 1976. In 1987 he initiated one of the first graduate degrees in the country in conflict management. Five years ago he again broke new ground by combining interactive television and the internet to make the degree accessible throughout California. Dave began his teaching career at an international school in Morocco; since then he has made professional and leisure trips to six continents and to well over 100 countries, many of them several times. Travel teaches many lessons, but among those important to a legislator is respect for people and their cultures and an understanding of geopolitical realities and national interests. Dave helped create a culturallybased preschool for American Indian children. He was on the team that created the Emmywinning PBSTV program Freestyle, which encouraged girls to study mathematics and science and he helped to initiate the highlyacclaimed California Academy of Mathematics and Science. Dave founded Wildlife on Wheels [WOW] with Millicent WoodHarris. WOW's environmental education programs reach about 100,000 Los Angeles children annually. WOW staff have directed and served on bird rescue efforts at some three dozen oil spills including Exxon Valdez (Dave has worked on six himself). Dave was the environmental representative on a BLM citizen advisory board, and serves on the Environmental and Urban Transit committees of the Los Angeles Chamber of Commerce. He was instrumental in founding the Orangutan Foundation which supports the research of famed primatologist Birute Galdikas in Borneo (he also supported an Indonesian child for a decade through Childreach). And, he worked during a university sabbatical at the Melbourne and Singapore zoos. Dave earned his doctorate at UCLA and his bachelors and masters degrees at The University of Michigan. He has lived in Los Angeles since 1968.